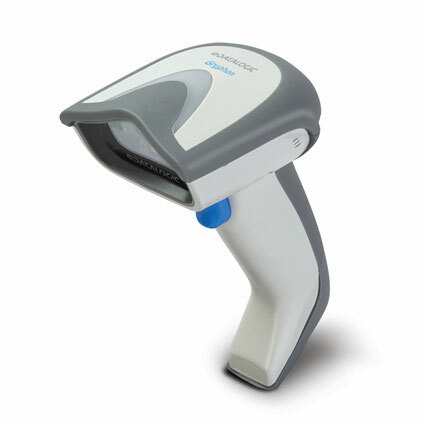 The Datalogic Gryphon I GD4100 barcode scanner provides any retailer with fast, aggressive linear barcode scanning, ideal for streamlining any data collection application. The durable scanner has been built with the unique features necessary to keep checkout lines moving smoothly and efficiently. The Gryphon I GD4100 uses a linear imager to capture barcodes, reading standard retail barcodes from nearly two feet away. A maximum read rate of 325 scans per second ensures the Gryphon gets you accurate reads the first time and every time. Datalogic´s Green Spot technology provides a visual cue of successful scans, fantastic for locations where you can´t or shouldn´t hear the audible beep. • Dimensions (W x D x H): 2.8" x 3.9" x 7.1"
5.0 Mil 2.3" to 7"
7.5 Mil 1.4" to 11.7"
10 Mil 0.8" to 17.7"
13 Mil 1.2" to 23.4"
20 Mil: 1.2" to 31.2"